Relying on the almost jingoistic patriotism of America at the time, the military-industrial complex wisely determined that the optimum time to mount such a propaganda piece was during the days when America was the most blindly loyal, while still collectively rationalizing the horrible, mass-destruction of Hiroshima and Nagasaki. These, again, were textbook Third Reich propaganda tactics and strategy, swiftly and brilliantly employed at America's weakest moment--its collective collapse and fatigue after its longest, bloodiest, most expensive world war. Widely promoted--ostensibly, anyway--as a vehicle to stress the need for U.N. control of nuclear energy and weapons, the real powers of the era knew from America's past opposition to anything having to do with the United Nations that America would never--ever--accept U.N. control of any of America's resources or weapons. Hence, while ostensibly supporting U.N control of nuclear weapons, the subtler messages planted throughout every script, hinted that any and all opposition to nuclear energy or weapons was tantamount to insurrection, communism, or anarchy. The fearmongering succeeded--as effectively as it had during the round-up and imprisoning of hundreds of thousands of loyal Japanese-Americans. The Fifth Horseman, hundreds of variants of the 'duck and cover' broadcasts, animations, and pamphlets and fliers, and the red-baiting, socialist and communist witch-hunts of the late-1940s and 1950s effectively stiffled almost all useful dissent of the right-wing legislative agenda in Congress for almost eight years. Certainly, long enough to establish and enact the legislation necessary to lay the foundation for dismantiling most of FDR's New Deal, de-regulating the military-industrial complex and trade restrictions, de-regulating the newly re-enacted Communications regulations, further undermining collective bargaining, and greatly expanding domestic surveillance. It also planted the seeds for the misinformation and misdirection of the mass-media campaigns that followed throughout the remainder of the 1940s and 1950s. The era continually hinted at the sins of any form of socialism, collective bargaining, communal living such as had been successfully employed in hundreds of Israeli kibbutzes, increased freedom of the airwaves, etc. ; and of course the even graver sins inherent in any form of regulation or control over either commerce, medicine, military-related industries, arms, or military-related materiel. As history ultimately revealed, the campaigns were shamefully effective for a time. The most effective fascist Nazi propaganda principles ever developed by our ruthless enemies had been proven to be equally effective on even the freest nation--and people--in the history of mankind. Indeed, five decades after this era, America once again proved its susceptibility to fascist fear-mongering--for at least eight terror-filled years, while the military-industrial complex systematically looted and plundered our economy--yet again. Taken at face value, the presentations were exceptionally persuasive and effective. The Fifth Horseman alluded to The Bible's Revelation account of the Apocalypse. Revelations tells of four 'horsemen', euphemisms for conquest, war, famine and death. The four horsemen rode four horses of distinctively varying colors: 'Conquest' rode a white mount, 'War' a red mount, 'Famine' a black mount, and 'Death' a pale [or pale green] mount. The four horsemen were also equipped with varying armament: Conquest wielded a crown and bow, War a sword, Famine a scale, and Death a scythe. A fifth horseman was alluded to in various publications, films, short features, animations, and pulp stories of the early to mid-20th Century--and beyond. Conjecture regarding a possible fifth horseman--imagined or prophesied--proved to be a persuasive euphemism for a number of perceived evils of the era. Ranging from 'fear', to miracle cures in Medicine, to economic collapse, or in this instance, the introduction of nuclear technology to a post-War world, the imagery of an influence as religiously and philsophically profound as a 'fifth horseman' invoked a number of highly emotional messages. The highly charged implications of the post-War Atomic Age made for fertile soil for both fear-mongering and sociological promise in a wide range of human endeavors. On the one hand, nuclear energy, nuclear medicine and nuclear forensics in many scientific disciplines presented great promise for dramatic technological advances for mankind. The flip side of the Atomic Age was all too fresh to all of mankind as the effects of the nuclear explosions 1,600 feet over both Nagasaki and Hiroshima continued to be studied by scientists throughout the world, as well as demanding spiritual and philosophical reflection by every race, creed, and religion of mankind. Needless to say, this undertaking was fraught with potential consequences no matter how NBC's The Fifth Horseman was presented to the public. Run Dates(s)/ Time(s): 46-07-04 to 46-08-22; NBC; Eight, 30-minute programs; Thursdays, 8:30 p.m. 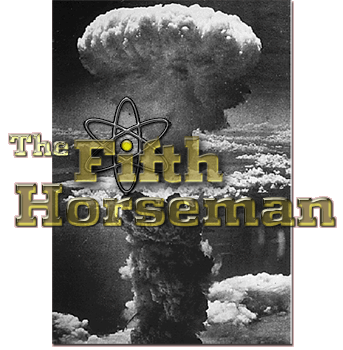 The Fifth Horseman, a new dramatic series dealing with the power of the atom bomb and the international social and political implications of atomic energy, will be broadcast by NBC Thursday nights, beginning this week and continuing through Aug. 22. Stars Henry Fonda. The announcer cites the episode as the first in the series. 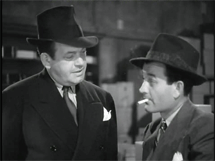 8:30 p.m.--The Fifth Horseman (WIBA): "Dawn," starring William Bendix. The announcer cites the episode as the second. 8:30 p.m.--The Fifth Horseman (WMAQ): Glenn Ford in "Promise." The announcer cites the episode as the third. 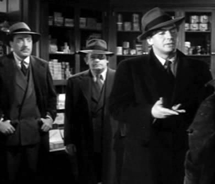 8:30 p.m.--The Fifth Horseman (WIBA): "Crisis," Starring Robert Young. The announcer cites the episode as the fourth. 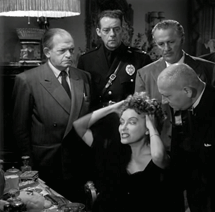 8:30 p.m.--The Fifth Horseman (WIBA): "Zero Minus One." 46-08-01 Bluefield Daily Telegraph - 9:30 p.m. 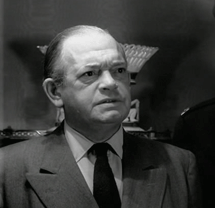 The Fifth Horseman Pat O'Brien stars in "Zero Minus One" dramatization in NBC's atomic energy series. The newspaper is incorrect. 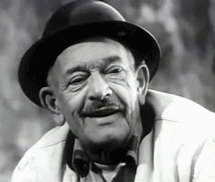 The episode stars George Coulouris. The announcer cites the episode as the fifth. 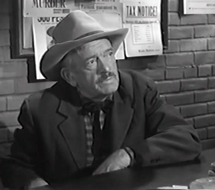 8:30 p.m.--The Fifth Horseman (WMAQ): "The Day of Doom." Dane Clark states that "For the last several weeks on this Fifth Horseman Program, we have dramatized the problem of world control of Atomic Energy." The announcer cites the episode as the sixth. Stars J. Carroll Naish. The announcer cites the episode as the seventh. 8:30 p.m.--The Fifth Horseman (WMAQ): "Memo to Mankind," about control of atomic energy. 46-08-22 9:30 p.m. THE FIFTH HORSEMAN"Memo to Mankind" dramatization dealing with the possible results of an atomic war, is the final broadcast of the series. Stars Charles Bickford. The announcer cites the episode as the last in the series.